Heavy Duty Knee RX Specialty Mat - Size: 12" x 22"
USA Building Supplies has specialty mats for unique applications that potential clients have trouble finding from other floor mat suppliers. One recent innovative mat is the knee mat which works on gravel, or shop room floors. The knee mats can often be found in mechanic shops throughout the country. USA Building Supplies believes safety should be a paramount concern at your facility. 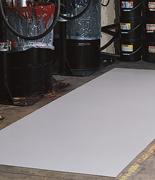 Safety message mats promote safety loud and clear while keeping your facilities clean. Safety message floor mats warn employees of upcoming hazardous areas or remind them to act safely. 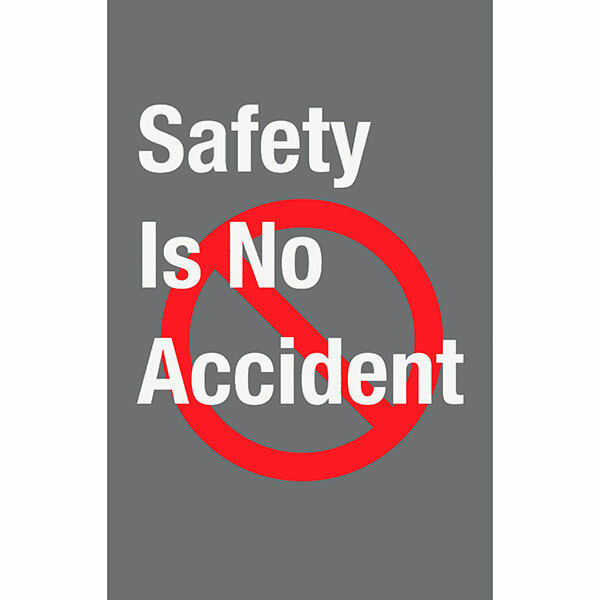 USA Building Supplies has 13 different messages available in two sizes to promote safety throughout your facility. 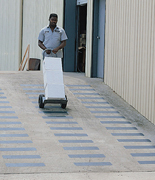 Facility inclines and ramp walkways are safer with USA Building Supplies' slip resistant pads for better footing. 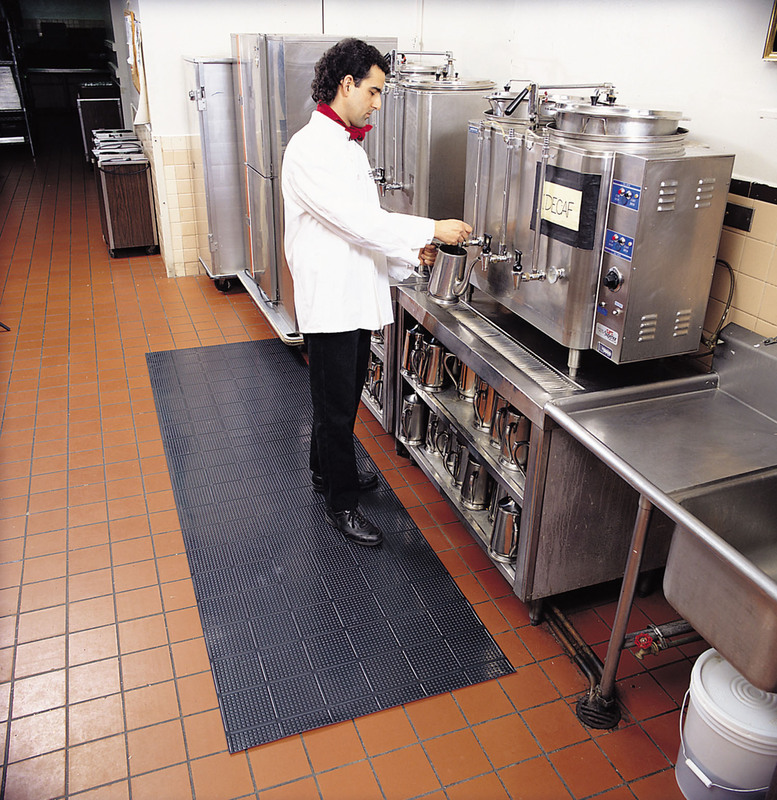 Protect your employees and guests further with the Safety Grid mat which keeps traffic away from moisture to prevent slippage in locker room or shower areas. In addition to our bestselling specialty matting models mentioned previously USA Building Supplies offers other specialty mats such as Clear Trax for specialized environments. The product design team at USA Building Supplies is always willing to listen to your new ideas to further develop products for our specialty mats product line. USA Building Supplies offers two different models to select from for anti-static mats. Grounded mats are typically used as an anti-static device designed to eradicate static electricity. The Diamond Stat and Cushion Stat from USA Building Supplies do just that for clients. Both styles of floor mats have sloped edges on all four sides to further promote safety. Textured mat top surfaces make both mat models great for traction and easy to clean. Various standard sizes and colors are offered. USA Building Supplies can have Superior Manufacturing make a custom size anti-static mat to meet your requirements. 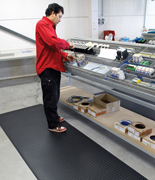 Contact USA Building Supplies' sales professionals today to discuss your anti-static floor mat needs. 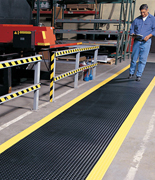 USA Building Supplies offers a wide assortment of industrial runner anti-fatigue mats for your workplace environments. Commercial runner worker relief mats are commonly made less thick than other anti-fatigue floor mats. Generally, the reasons sighted for the overall thinner construction of these types of mats are the applications the commercial runners are used in. 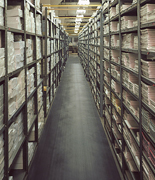 Typically, an industrial runner mat is utilized in long aisles, warehouses, and industrial passageways where safety is needed and minimal anti-fatigue value is required. Listed above are USA Building Supplies three bestselling anti-fatigue mats and brief descriptions of each model. Vinyl V-Groove Corrugated Runner – Rib tooth design offers sure footing for all your employees. Warehouse workers will enjoy the quieting result this mat offers over noisy tile. 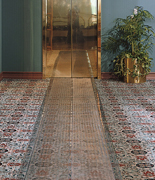 Diamond Relief Runner – Embossed top surface promotes excellent traction from all sides of the mats. 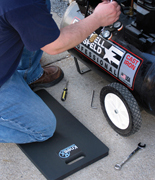 Carts are able to travel smoothly on this mat due its low profile. Round Rib Runner – Mat provides firm footing and floor protection. Available in three different standard sizes and three colors. Call a USA Building Supplies representative to discuss the best matting product for you today.